What to make with wool: inspiration! Coats, coats, and more coats! 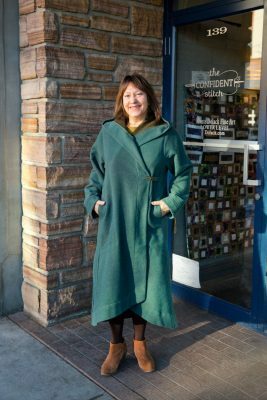 Last year Bonnie made The Sewing Workshop Soho Coat out of a fabric similar to this double-faced wool, and recently made the Gainline Yates Coat out of the same wool in a different color. Cozy and stylish, perfect for going out on the town in the middle of winter! Not all wool is thick. On the left, Kate is wearing The Sewing Workshop 8th Avenue Skirt out of a wool jacquard. We’ve sold out of this particular fabric, but this wool jacquard would work equally well! 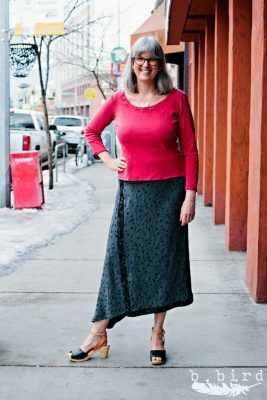 Lighter-weight wool also works great for pants, like these no-side-seam pants Kate made. 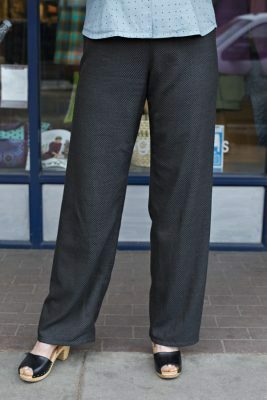 Try this pant-weight wool with a pattern such as the Sewaholic Thurlow Trousers or the Liesl + Co. Hollywood Trousers, and you’re ready for the office! Of course, nothing says “sweater material” quite like wool. We love the Sew House Seven Toaster Sweater, which is perfect for any wool with some stretch. 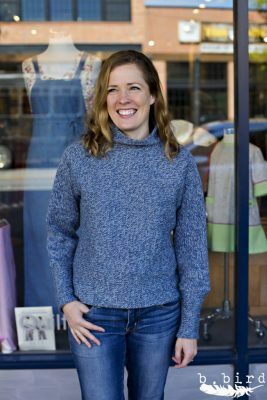 On the left, Jane’s wearing the Toaster Sweater Version 1 in this thick wool sweater knit, and on the right Version 2 in this gorgeous double-sided wool knit. 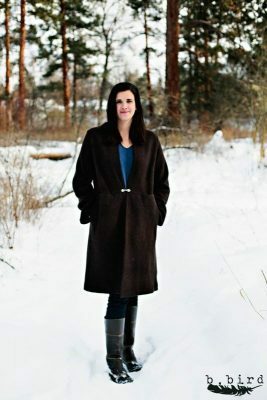 Did we mention wool is great for coats and jackets? Our Lana Bollitos have some rayon in them, a bit of stretch, and the nubby texture of boiled wool. 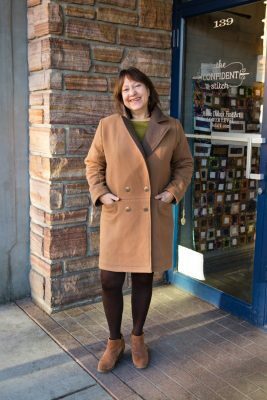 On the left Bonnie is wearing The Sewing Workshop Chicago Jacket, and on the right Charlotte is modeling the Merchant & Mills Strand Coat. Both work great in a Lana Bollito wool, and would also work in a wool melton. So the question is, what will you be sewing with wool? This entry was posted in News, Sewing Community and tagged wool. 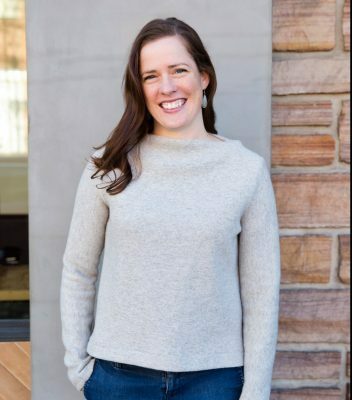 Jane is the shopkeeper, website manager, event planner, order fulfiller, and everything elser at The Confident Stitch shop. 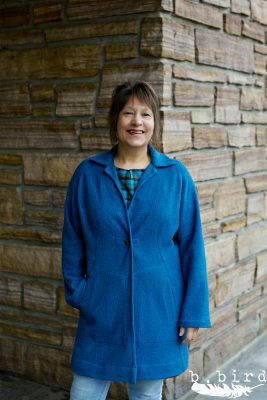 She had sewn a “couple of things” before starting work at The Confident Stitch. She quickly jumped into the fabric and sewing world, and now she can set in a sleeve and apply a bias binding like a boss!